Amazon today announced its list of 25 Alexa skills of the year for 2018 spread across several categories including Games,..
Amazon now has over 50,000 Alexa skills in the U.S. alone. The milestone was passed on Thursday morning when it..
61% of Alexa skills have no users ratings. This figure had dropped only 1% in a year despite the doubling..
Amazon announced at IFA that there are now over 50,000 unique Alexa skills globally. The logical questions remaining are how..
Today, Amazon India launched the Cleo skill for Alexa in India. 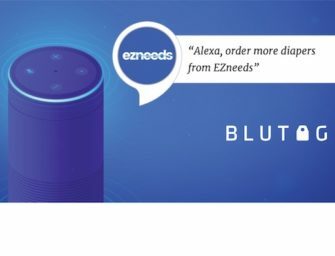 Cleo’s goal is to learn new languages and dialects..
XAPPmedia announced this morning that the company has hit (and passed) the 1,000-mark for paid voice app launches on its..
Amazon Alexa Skill Count Surpasses 30,000 in the U.S. It is never exactly clear how many Amazon Alexa skills there are globally. There are many skills which are simply..
Money talks. Despite the lack of monetization opportunities for Alexa skill developers, Amazon knows the best way to incentivize developers..
Voicebot was the first to report right before CES 2017 that Amazon had reached a new milestone with 7,053 Alexa..